Shares of this "Ebola stock" have soared in the past 24 hours – but just how close is Tekmira to getting approval for an Ebola treatment? Tekmira Pharmaceuticals Corp. (Nasdaq: TKMR) stock surged more than 25% to $26.50 Wednesday after the Centers for Disease Control and Prevention (CDC) confirmed Tuesday the first Ebola diagnosis in the United States – and the first outside of Africa. The CDC is confident it can control this case, but said it's possible that someone who has had contact with the man may have been affected. 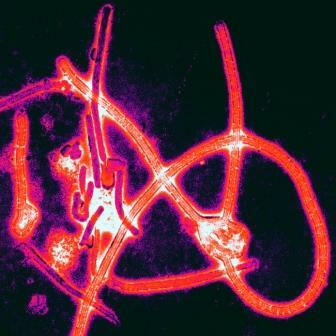 "It is impossible to predict how long an outbreak will continue. For now, we are taking concrete actions to stamp out the outbreak in West Africa. These include contact tracing, airport screening, and health education. CDC is prepared to be in this for the long haul and until the outbreak is over in order to protect the health of Americans." Tekmira is also in it for the long haul. Here's a closer look at whether this company can be the first to deliver an Ebola treatment. The Canadian drugmaker is developing an Ebola vaccine in collaboration with the U.S. Department of Defense's Medical Countermeasure Systems BioDefense Office. In March 2014, Tekmira was granted Fast Track designation from the U.S. Food and Drug Administration (FDA) for the development of TKM-Ebola, its anti-Ebola viral RNAi therapeutic. The FDA's Fast Track is a process designed to facilitate the development and expedite the review of drugs in order to get important new therapies to patients earlier. In August, the FDA modified its clinical hold status on Tekmira's experimental Ebola treatment to partial hold, enabling it for potential use in humans infected with the virus. TKM-Ebola is currently in phase 1 testing. But the company has already treated a few Ebola patients in the United States (aid workers transported here), as well as patients outside of the United States, with some success. However, even if the CDC uses Tekmira's Ebola treatment for current or future patients, it will be on a limited basis.